Help! I Need a Publisher! : The Big Write a GREAT Synopsis Competition! The Big Write a GREAT Synopsis Competition! Win a synopsis critique and advice from the Crabbit Old Bat herself! Surrounding publication on January 20th of Write a Great Synopsis – An Expert Guide, I will be visiting many blogs for a guest post, review or interview. If you’d like the chance of winning help with your synopsis, simply leave a relevant comment on any of the guest posts - including any WAGS-related posts on my blog, beginning with this one. It could be a deep and meaningful comment or a plea to the gods of fortune to pick you! One comment per post – but comment on each post if you wish. On February 15th, each blog host will send me the names of valid commenters and I will do a random selection, using a random number generator and my sparkly fairy dust spreader. 1st Prize: a synopsis critique from me; your choice of one of my books*, subject to availability, signed; a sought-after (only 6 in the world!) Write to be Published mug; a crabbit bag; and a pile of postcards. 2nd Prize: a synopsis critique; a signed book (mine); postcards. 3rd Prize: a synopsis critique; postcards. The list of blogs I’m visiting will appear one by one on the panel on the right. Do go and read them – all the bloggers are great supporters of writers. Comment on as many as you have time for. Here is the lovely short book trailer, made by my film-maker daughter just before she headed off to make documentaries in South Africa for six months. Short, sharp, witty - crabbit advice at its best. I know. I have read it. You should read it too. I can hardly wait. Looking foward to this so much. Aside from my fiction writing, I have been writing a non-fiction / memoir style book on my chickens. This is nearing completion and I'm struggling with the synopsis. It is packed with anecdotes and chicken characters, info and individual stories, but doesn't have narrative arc as such, in the same way as a novel would. I would expect it to be a book that was dipped into, rather than read cover-to-cover in one sitting. Any suggestions to make the synopsis coherent and interesting? Oh, and where are my manners? Very best of luck with WAGS and thanks for a consistently interesting blog. At last! I can't wait to get WRITE A GREAT SYNOPSIS and show it to my students. I know writing as synopsis is something that everyone gets in a tizzy about, particularly as there is so much conflicting advice available. It will be good to have some wise Crabbit words on the subject. I have always found Crabbit's words to be spot on. Bring it on! Oooh great, will be keeping an eye out for the launch of WAGS. I'm lucky enough to have already read WAGS. It's almost like having Nicola Morgan sitting next to you and helping you to write your synopsis (but without the pointy boots). Once you've read it, you will laugh in the face of synopsis writing. Brilliant book. Thank you! If you could put it on Amazon tomorrow, that would be much appreciated! I need it NOW! Good luck with this. 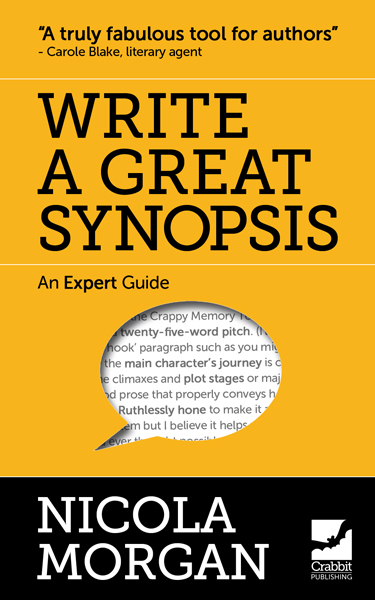 Having read your other posts on synopsis writing I think this book will be packed with sensible tips and well chosen examples. Can't wait to read it. Woman seeks help with synopsis - discovers link to this blog - wins copy of guide - writes great synopsis! I would love to win one of your prizes, as my memoir lurks in the valley of great-ideas-at-the-time. I have no doubt your book is excellent and will help many a novice like me. Thank you! A whole book on 'the dreaded synopsis'? Okay, I am up for it. I sure as hell need it! I'm lucky enough to have been sent a copy (a big thank you Nicola!) and read it yesterday in one sitting. I'm not at the synopsis writing stage yet but it contains good advice for whatever stage you're at. Without giving too much away, method 2 is helping me to see the essence of my work in progress and giving me a route map to the place it should end up. This was something I badly needed. Very much looking forward to WAGS - my synopses are all bitty and full of detail where they should be capturing the essence of conflict, drama, all that jazz. Probably. I look to your book to assist in fixing. I've been fortunate to read a copy of WAGS too, and it's brilliant. It was like blinkers suddenly being removed and I'm certain the synopsis is never going to scare me again. thank you, everyone! Glad it is hitting the spot. Now, on Friday, let's see if we can propel it up the Amazon rankings :)) I will be watching from the train. Meanwhile, you're all entered in the BWC. but obviously if you pick me, I'll also be very happy. After reading WAGS I felt that writing a synopsis was a piece of cake. Will leaving a comment on several guest posts increase one's chance of winning proportionally? Or will everybody's name be added only once to the final list of candidates? Good luck with WAGS, Nicola! Katalin - leaving a comment on the other blogs increases your chances. One comment per blog but if you leave a comment on five blogs, I put your name in five times. Whisks - many non-fiction books don't have narrative arcs, you are right. But they will still have a coherent structure, a balance to the arrangement of anecdote and other material. If you have got the structure nailed and know what it is, your synopsis won't be hard to acheive. I am sure that WAGS will give you all the impetus and reassurance you need. There is some general advice, oft-repeated in the book, and once you've imbibed that, you'll be confident! I must get hold of WAGS, like most mothers I blab on about my baby until people's ears bleed. And gods? Of course, my novel Witch, Nun, Shaman's Drum is full of them - come on deities, help me win this competition please! Sophie - and in itself your comment was a great synopsis! Tracy - no sacrificial offerings needed! All you need is less than £1 and it will certainly be yours! Checking Amazon daily. Can't wait to read this. Good luck with the book, I can't wait to read it! Please add me into the draw. I'm struggling to improve my synopsis on my recently completed novel. I've read so much conflicting advice on how to write one. A writing tutor told me to include in it some details of the secondary stories to show that my book is multi-layered and has depth. Ummph. Trouble with not sticking only to the main theme (as others told me I should do) is how to keep it to only one page (as I've been told it should be). Help! This is driving me crazy. I'm looking forward to getting your book from Amazon tomorrow. 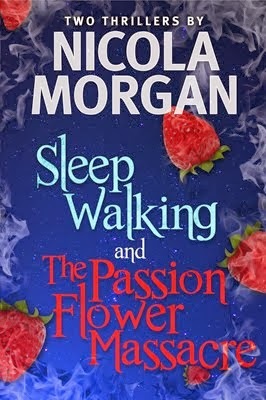 Hi...I finished my debut novel 3 months ago and it has been long listed for 2012 Harry Bowling Prize. Currently I am in the midst of an agent trawl to find representation for my book. This is seemingly a more arduous task than actually writing the novel ! Sound familiar? Any advice on how long I should expect to wait before I hear back from agents I have mailed out to? I've just bought your highly recommended How to Write a Synopsis. I'm about to dive in and discover where I've been going wrong. Ah, the sort of WAGS that I'm actually interested in, who'd have thought it. After reading this book I came away wondering what all the fuss was about... not the fuss about the book (that is more than deserved), but the fuss about writing the damn scary synopses. Key piece of info I picked up: it's the writing that counts - the synopsis is just a tool to show that you can think an idea through. Bloody obvious really! Wish I'd know this earlier. Thanks Nicola. Bought today! Would have been sooner but my wi-fi has been up the spout! Hope i'm in time for the competition too! Laura Mary - deadline is Feb 15th! Will definitely be buying a copy of this as the synopsis I have written for my novel is a mess. I've read conflicting accounts that it should be a step by step guide to the main plot points and elsewhere that it should only sum up the main themes and give a flavour of the boon like an extended blurb so I am totally confused! Brilliant book and its actually helped me get over myself and write the synopsis of doom. Done, dusted and hopefully off catching the eye of editors. Thanks Nicola for WAGS. Its the literary kick up the bum I needed :). Downloaded WAGS, absorbed WAGS, wrote draft synopsis and retired triumphant. Phew! Finished it in two sittings. Now if only I could finish my book that quickly (ha!). As I said to you on Twitter there is a competition that you can enter where you don't have to have finished your novel (sadly I haven't) so I was wondering, how much work should I put into plotting out the middle bit in terms of writing an 'accurate' synopsis. Would I be 'held' to it in that situation - it is an unusual one because books are normally finished (as least to a certain standard) before submission. Would love to learn skill of writing synopses from your publication. Oooo, wish I had a Kindle! Note to self: find a friend's that I can temporarily hijack! Love your blog! Thank you for so freely offering such awesome insights! Kirsty - I'm so sorry: I only just found your comment because it was sitting in a spam box! You said, "... there is a competition that you can enter where you don't have to have finished your novel (sadly I haven't) so I was wondering, how much work should I put into plotting out the middle bit in terms of writing an 'accurate' synopsis. Would I be 'held' to it in that situation - it is an unusual one because books are normally finished (as least to a certain standard) before submission." I don't see that you could be held to it if you don't have to have finished the novel. (Correct: you do always have to have finished it if you are submitting to agents/publishers.) Anyone writing a synopsis before finishing the novel would expect to change things. It would have to sound as though it hangs together, that's all. I've just listened to your interview about writing a synopsis on The Wishing Chair. Great chat! It left me with the realization that I have to by the book…..now! I'm reading WAGS at the moment, and am very grateful for the advice in it. I'll admit that I expected it to be a bit dull and text-bookish (I've read similar guides before) but I was delighted to be proved wrong. Having been told that my synopsis is "confusing in parts and although it oozes emotion, it does not tell the story in the best way it could", I'm taking on board every bit of WAGS advice, but I couldn't resist the chance of winning a critique from the Synopsis Guru herself! So, this would be from the crabbit to the crabbee? Sounds like a match made in heaven! I've commented on every blog, I've bought the book, short of sending you flowers I can't think of how else I can say how much I appreciate the advice in WAGS. Please Ecrivia, Goddess of Writing, smile on me this time. Hi Michelle. Sorry, only just saw this comment because blogger had put it into spam! I don't moderate comments but comments on old posts go into spam and I have to go looking, which I rarely do! 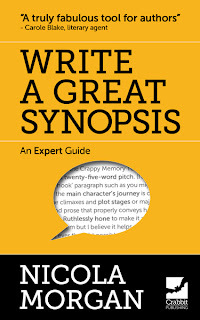 Write a Great Synopsis will certainly help you! Cheapest place to buy it is from my main website shop. I'm not being mean in suggesting you buy it but it's the best help I can give you. It has helped hundreds of writers. Good luck!